Of all the attendees at trade shows, nearly 70% represent new, potential customers. Furthermore, 99 percent of marketers say that trade shows provide their companies with unique value. 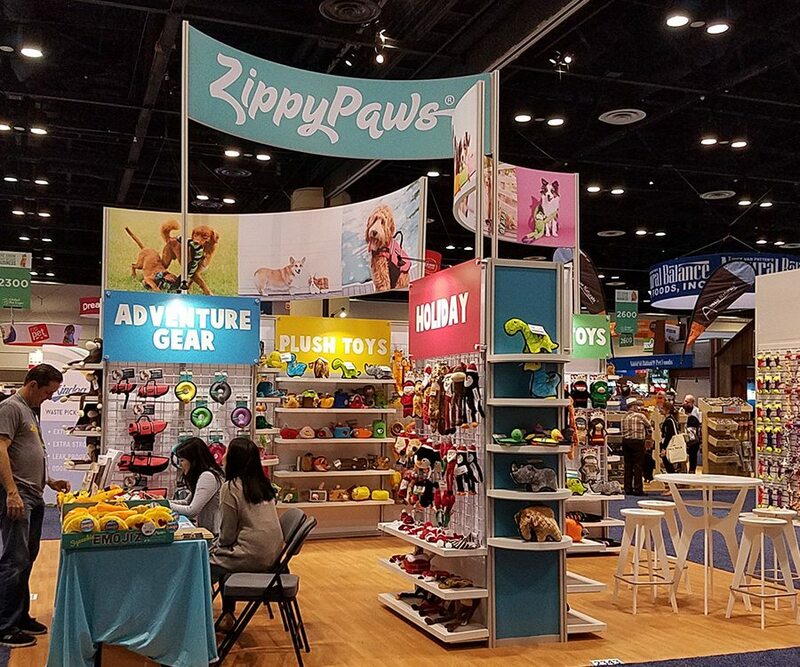 Trade shows provide an incredible amount of value to your company, but in order to reap the best benefits, you have to make sure your expo display stands out. Take a look at this quick list of trade show booth ideas that will make you the talk of the event. 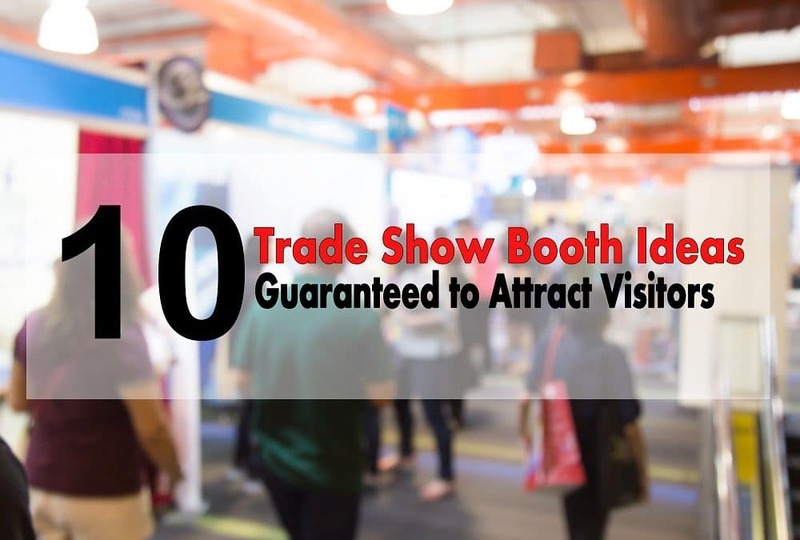 One of the best and easiest trade show booth ideas is to start building excitement for your booth long before the event starts. Use social media to give hints about some of the amazing things you’ll have at your booth. Get pictures from the event coordinators and post them on your company Facebook page as the trade show gets closer. You can even post a few giveaway ideas and have your social media followers vote on their favorite ones. Building up this excitement before the event will keep people interested in your booth and make them much more likely to stop by during the trade show. If you have a large space for your booth, set up some chairs. There isn’t a lot of seating at trade shows, and people will appreciate the chance to sit down and rest for a few minutes. This is also a good way to expose them to your company. They’ll likely be sitting for several minutes at least, and during this time you can introduce yourself. If you don’t have time to talk to all these people directly, consider setting up a screen that plays an engaging presentation about your company. Putting padded mats over the floor is another good idea if you don’t have the space for chairs. A lot of trade shows are held on hard, concrete floors, and comfortable mats will invite people to stick around your booth for a while. This could be things like food or bottled water. People get hungry walking around a trade show all day, so handing out cookies, muffins, or fruit will quickly draw a crowd to your booth. You might even attract some hungry competitors. Trade show attendees are on their phone a lot during the event, so setting up a charging station will bring you a lot of traffic as well. All you have to do is set up a table where people can sit and charge their phone. Again, this is a great chance to expose them to your company. You can create a custom table covered your company name and logo on it or put pamphlets on top of the table with relevant information. They’ll have nothing else to look at while their phone is charging but your booth. If you can, check out your competitors before the event so you can see how they’ll be decorating their booth. Then come up with some bigger and better trade show booth ideas. Create extra-tall booth displays that stretch high above everyone else around you. People will be able to see your booth from a distance, maybe even right when they enter and wonder what it is. You can also make an overhead display and hang it above your booth or lay some kind of graphic on the floor in front of your booth (this could be something as simple as an arrow or your logo). If you want to get really creative, think of objects that are sure to catch peoples’ eyes. Maybe a custom wrapped bike or car. An easy way to carry out interactive trade show booth ideas is to give a demo of your products. If you sell massage chairs, set them up and let people give them a try. Massages are popular, especially at an event where people spend most of their time walking. You could end up with a long line outside your booth. The line will attract more people on its own because they will want to know what’s happening. You curl peoples’ hair if you sell curling irons, give people simple makeovers if you’re selling makeup, clean peoples’ shoes if your selling shoe cleaning products… the list goes on and on. If demonstrating your products takes a little too long to do it all day, you can schedule specific demo times (this works well for things like cooking demos). This could gather an entire crowd to your booth several times a day. One simple way to do this is having people complete a quick task that will enter them into a drawing. These tasks could be as easy as singing in at your booth, signing up for your email list, taking a picture and tagging your company, or using your custom hashtag. Make sure the prize is something worthwhile. People don’t like getting the same, typical giveaways, like mugs or pens. When you do hand out prizes or free giveaway, make sure you give them to people in a really big bag. This may seem silly, but other companies will probably give out bags too. People carrying multiple bags tend to stuff them all into the biggest bag. Make sure that biggest bag is yours. Other people will see them carrying those bags around and want to find out where they came from. Special deals are other great trade show booth ideas. 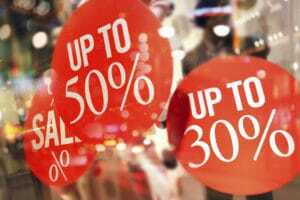 People like getting special things, and they are more likely to buy something from you that day if it is discounted or comes with other perks. But don’t make the deal too ridiculous. Keep it professional and beneficial to you. People jump on all kinds of deals, so it doesn’t have to be better than everyone else around you. Sometimes, the overhead lights may not be very good and bringing your own lights make your booth easier to see. The right kind of lights also feel cozy and intimate and will attract people to your booth. This is something nobody expects to see at a trade show. Your stunt trade show booth ideas can be totally unique and different. Think way outside of the box. For example, Young Entrepreneur Council brought penguins to one of their trades shows. As you can imagine, it attracted a lot of attention. They had crowds at their booth throughout the entire day. Do as much research before the event as you can so you can be prepared for the space you’ll have and the lighting you’ll get. Some places may allow you to hang banners or overhead displays while other places won’t be able to do so. Getting ready to go to a trade show but don’t know where to start? Contact us and we’ll help you plan your booth! Carlos is a digital marketing consultant with 18 years of proven internet marketing experience, and a self-proclaimed "data nerd". His digital marketing agency, CAE Marketing & Consulting focuses on SEO & PPC management, as well as conversion rate optimization. He has worked as a marketing consultant for small and large businesses alike.